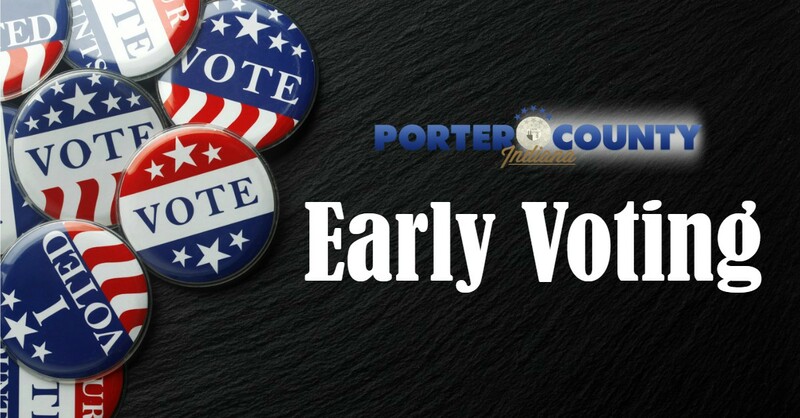 Early Voting, also known as absentee voting in person, is available to Porter County registered voters. Early voting dates, times and locations are listed below. IMPORTANT: When you come to early vote, please be sure to bring your valid Indiana Drivers License or State Identification Card. For your convenience, there are four early voting locations. Eligible voters can vote at any of these locations. CLICK HERE For More Information About Other Absentee Voting Options!